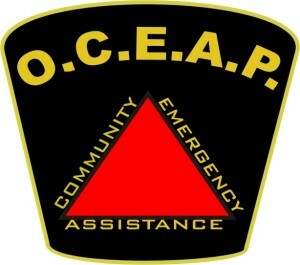 OCEAP | Communities assisting communities. A not-for-profit corporation established in 2006. The Ontario Community Emergency Assistance Program (OCEAP) serves our local communities by recruiting, training and deploying volunteers when requested by emergency services such as police, fire or ems. OCEAP volunteers are trained to provide ground search and rescue services. In addition, members are trained to meet a number of roles during other emergency situations such as evacuation centres or emergency operations centre support.